After a couple of sunny days in Buenos Aires, the next stop on our Penguins & Patagonia Adventure was the much cooler, windswept oceanside city of Puerto Madryn in Patagonia. 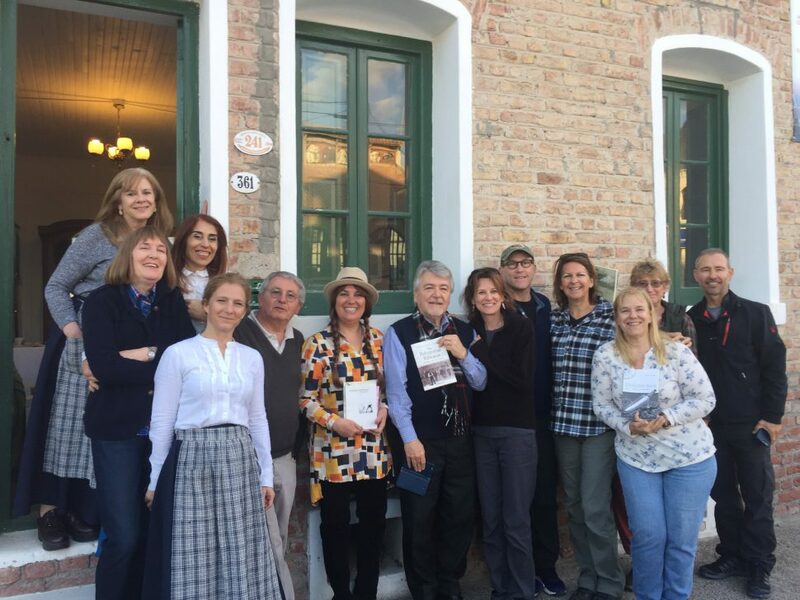 The amazing two days we spent here were arranged by Carol Mackie de Passera of Causana Viajes (indeed all the Argentinian details of the trip were arranged by Carol, but our visit to Puerto Madryn was specially and thoughtfully curated by Carol to fit our literary theme). 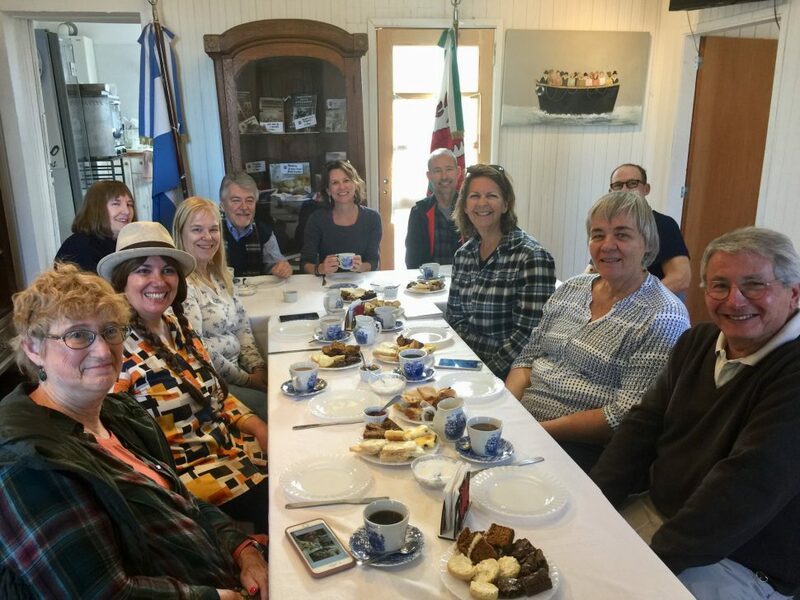 Also a naturalist and guide — whom John and I met 12 years earlier for a few days of excursions after volunteering at Punta Tombo — Carol arranged for a tour of the local history museum, Museo del Desembarco, followed by a traditional Welsh tea with Argentinian authors in the beautiful historical building of the Welsh Association. 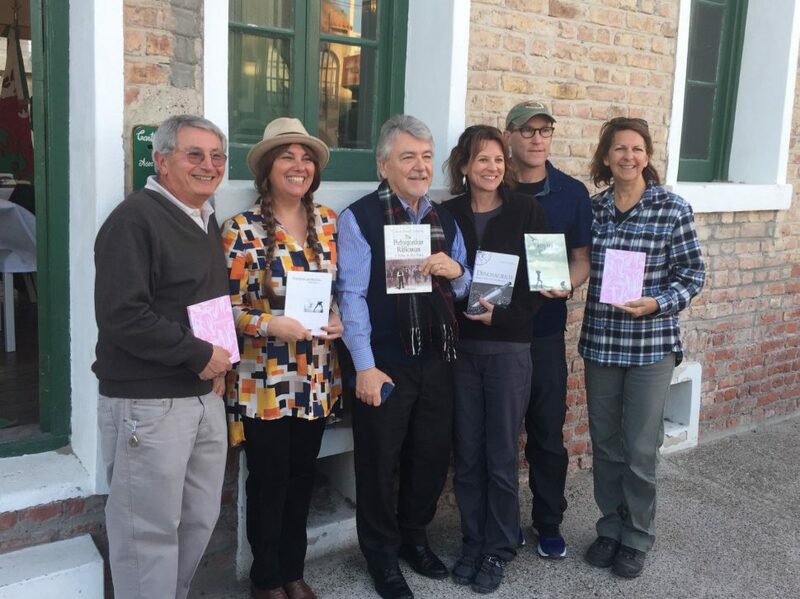 We (pictured below, from left: Marcelo Gavirati, Silvia Iglesias, and Carlos Dante Ferrari — plus me, John, and Susan) had a wonderful chat about writing, culture, travel, and the fascinating Welsh history of Patagonia (the Welsh arrived in Puerto Madryn in the 1860s) and its thriving community here, all as we devoured scones, bread, pastries, and tea. Silvia Iglesiasis a journalist, teacher, poet, and novelist. She has published two books of poetry — Perfect Bodiesand Strange Bodies — and a novel, Yaoyin.